On July 6, 2016, the debriefing session of the 2016 TOMODACHI LEAD ON! Tour Japan Series Program was held at the Diet Members’ 2nd building. 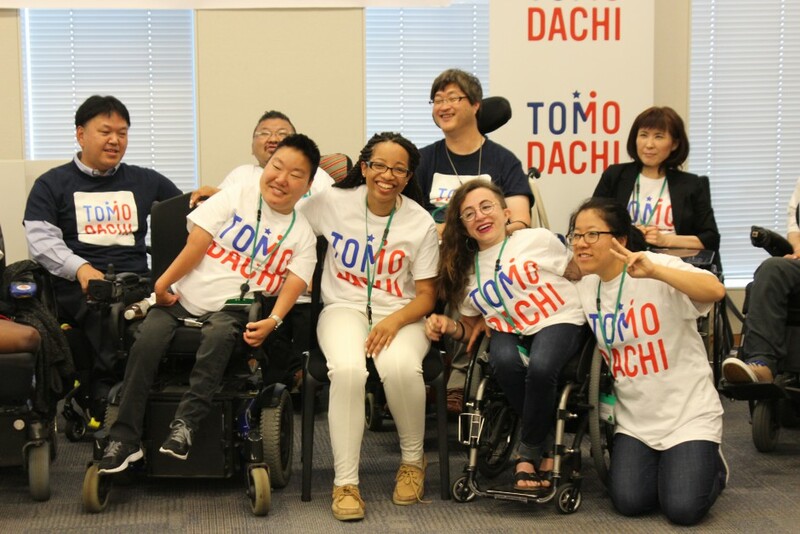 Built upon the partnership of the National Council on Independent Living (NCIL) and the Japanese Council on Independent Living Centers (JIL), the two-week program invited young American leaders with disabilities to Japan. 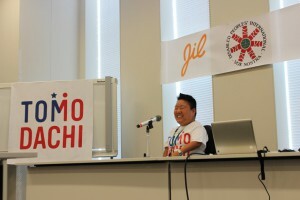 During the program, the U.S. youths had the opportunity to meet a wide variety of people in the field, including the “legend” Mr. Shoji Nakanishi, Chairperson of JIL, who were one of the first activists to support independent living for people with disabilities, to elementary school students in Tachikawa, Tokyo. In addition, each U.S. youth visited spots around Japan individually such as Osaka, Okinawa, Tsukuba, Nagoya, as well as areas that were struck by the Great East Japan Earthquake, including Sendai and Ishinomaki. During their tour, the U.S. youth observed how various areas in Japan are approaching independent living. The session began with greetings from Chairman of the Center of Independent Living Muchu, Mr. Kouzo Hirashita, followed by the U.S youths’ presentations. The youths commented on the difference between independent living in Japan and the United States as well as their experience in meeting young Japanese leaders with disabilities. Additionally, Ms. Priya Penner spoke about how grateful she was to had been welcomed as if Japan was her own home, despite the fact that she lives twelve hours away via flying. Ms. Keri Gray also looked back on her experience of the program as she mentioned how much she had learned from the elementary school students in Tachikawa since she had mainly been working with high school and college students in her past activities. While some presenters spoke with their eyes filled with tears, Ms. Daisy Feidt, ADA (Americans with Disabilities Act) specialist, emphasized the importance of young female leaders in supporting independence living for people with disabilities. Meanwhile, there were smiles all around during break as both Japanese and American participants shared their own experiences and past activities with one another. During the second half of the session, Executive Director of Japan National Assembly of Disabled Peoples’ International (DPI-Japan), Mr. Satoshi Sato, gave his presentation on the partnership between Japan and the United States towards organizing the Global Independent Living (IL) Summit. As well as deepening the relationship between Japan and the United States, Mr. Sato announced that his goal was to have more young leaders among the two countries and have them be involved in more programs and activities with one another. In addition, Mr. Sato introduced the Kokorozashi IL Network and explained what the international organization has achieved so far. He explained that “Kokorozahi” is a Japanese word that lifts the spirit of those wanting to achieve a goal and the Network is rewarding in the sense that one is able to change the world around them through their activities. The session concluded with a new goal: to spread independent living to the world starting with a U.S.-Japan partnership and the 2016 NCIL Seminar and 2017 IL Summit. From the network built during this program, one can see that the partnership between the two countries are key towards independent living.